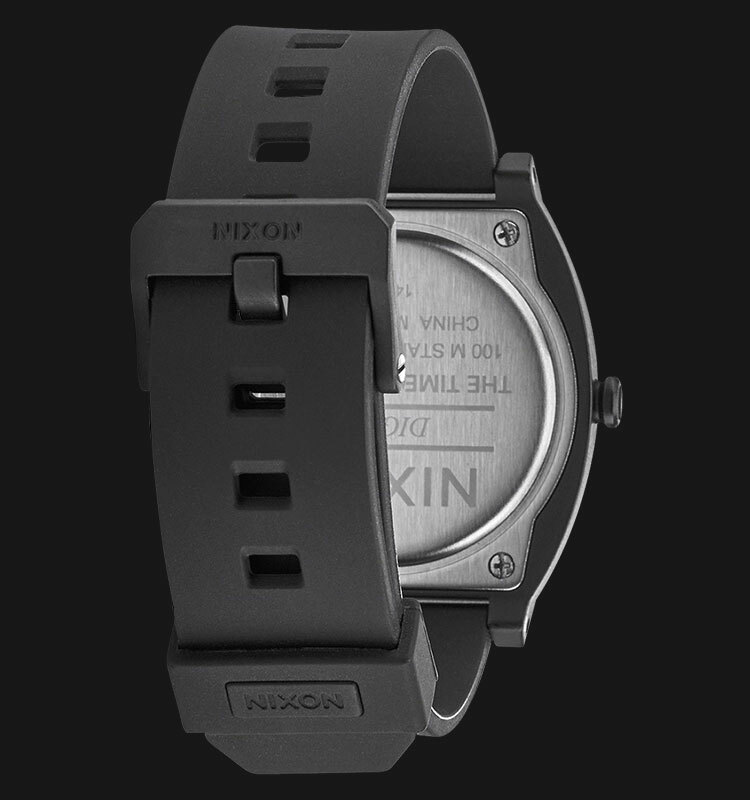 Custom digital module featuring time in hour-minutes-seconds in 12 or 24hr format, month, day, auto-calendar from 2014 to 2099, Chronograph, and EL backlight. 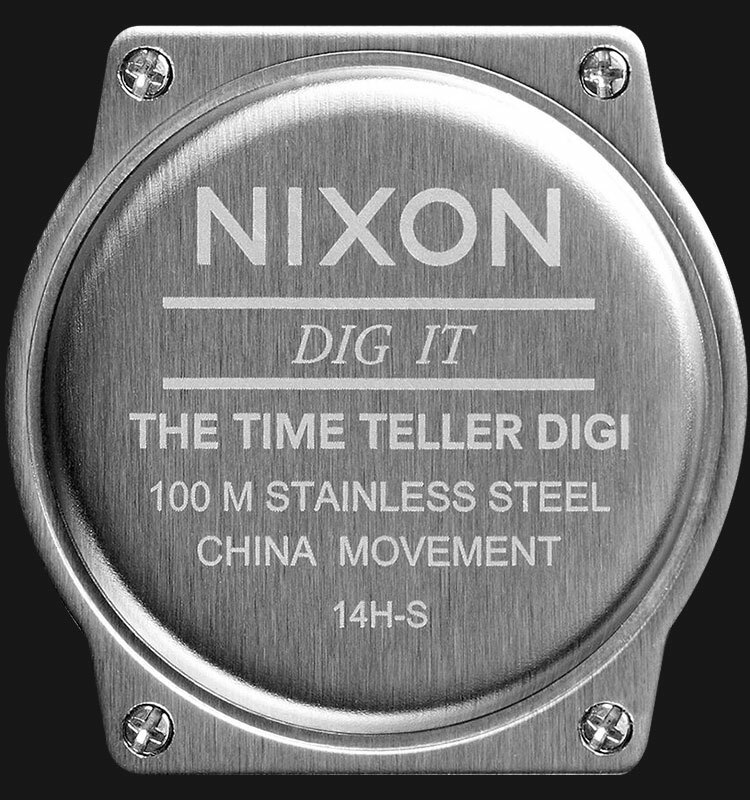 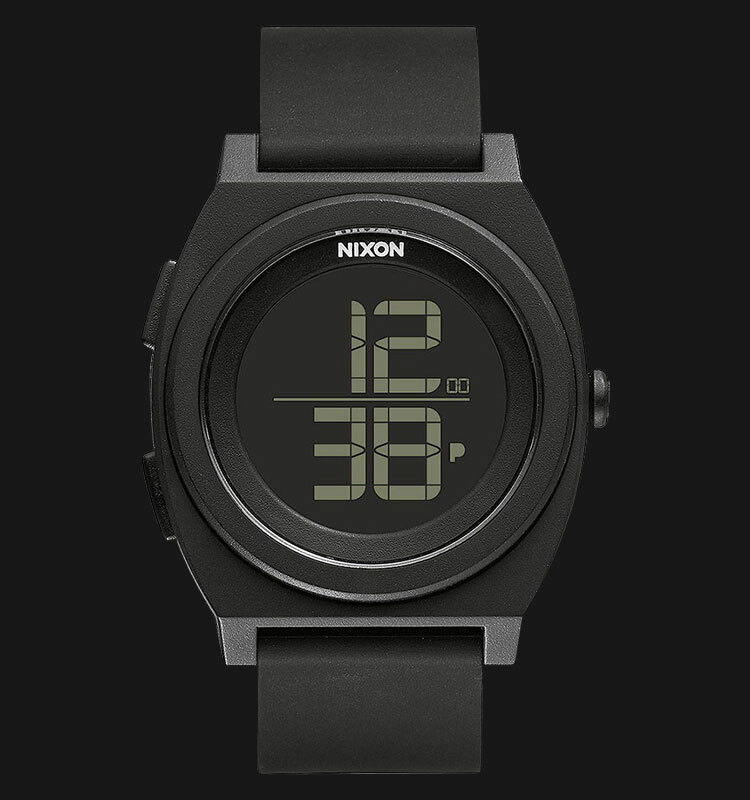 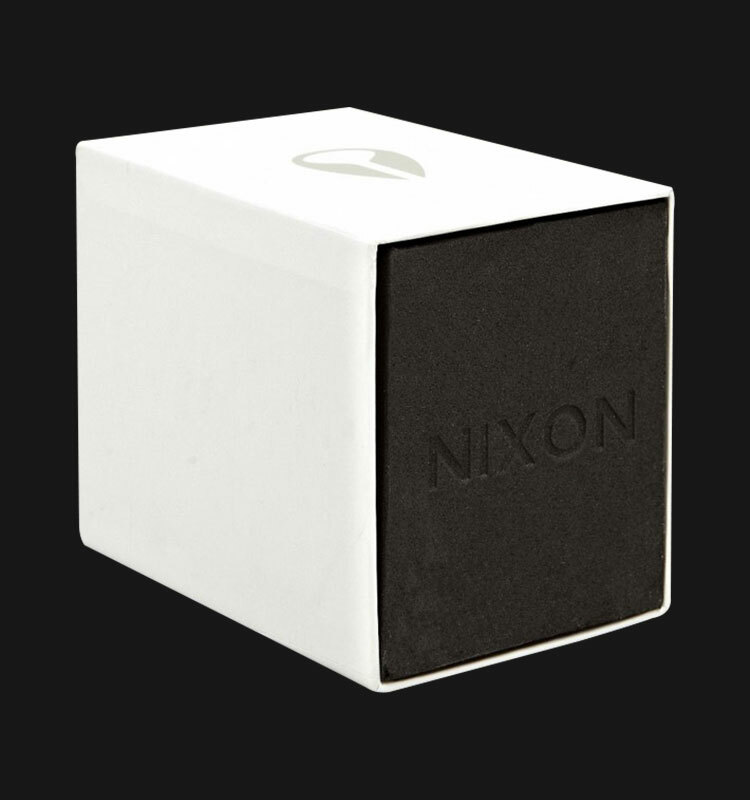 Positive or negative LCD display, custom molded dial ring with NIXON wordmark. 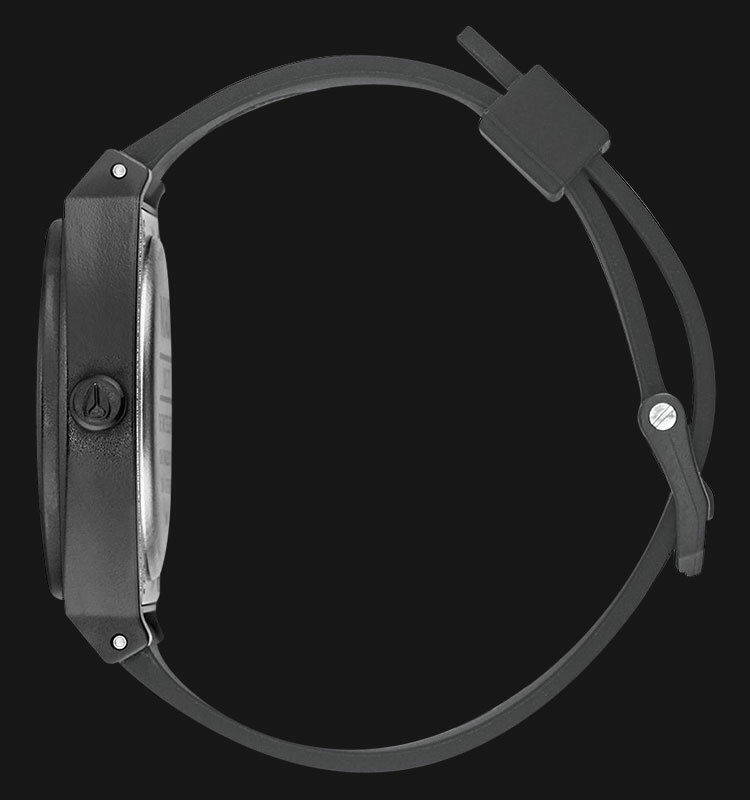 20mm custom injection molded ultra-soft silicone band with patented locking looper and polycarbonate buckle.